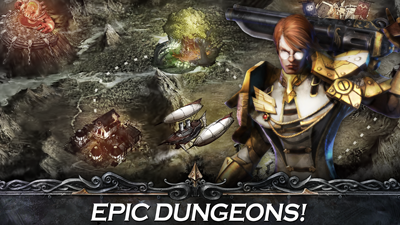 Dungeon Mission Stages is where you can advance the story line and complete quests to gain handful rewards. Using 6 Story Mode Stamina per run, you can farm Angel Stones, Gold, EXP, Equipment and Iron Ores for free here. 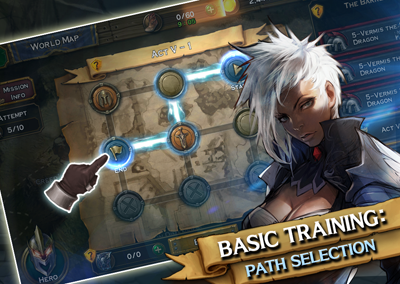 Selecting certain paths will affect which maps and monsters you will encounter. It will also affect the available drops that you can get, or modify the Gold or EXP you will gain after completion. Check the Mission Info for that stage to check the requirements. Link the minimum number of Cells to link then complete the mission within the required time limit. - Depending on your Rank Stage Completion, you can get an additional Gold. - You can get more Carats by reaching all Ranks S missions per ACT. - Reaching Rank S will unlock the Blitz feature, using it will let you obtain the same rewards as normal play without playing the mission. - You can use Gold to expand the Blitz Card, this is optional though. - Use All Blitz cards before the server reset (ex: GMT+8 11PM), the Blitz Cards are refilled to the maximum each day anyway. Just get what you can as you go on, no need to focus on it too much though. Return to them once you become stronger. - You can pick the shortest path instead just to finish certain missions, like Boss Missions. This way you can unlock the next ACT to get rewards or to farm better items or Angel Stones. - Example: ACT 3-10: Picking 4 Cells won't contain low-grade bosses, while picking 6 Cells will. - Highly recommend that you go for Cells with Angel Stones first, especially the Passive ones that can be used all throughout the game. - If you need more to unlock or for upgrading, reset the "mission attempts" at least once a day, do this only for Angel Stones that you really want. - You can view the reward description by clicking on the cell. - Compare the Lvl of gear that you can get on that cell to your current equipped gear. - Start farming for better equipment once you get stuck. - Aim for Blue and Legendary Gears from Lvl 20 onwards, then full Legendaries at Lvl 30+. - EXP Cell Bonus = Additional 30% EXP. Nice if you want to Lvl up fast, you''ll spend most of your time here at higher lvls for grinding. - Gold Cell Bonus = Additional 50% Gold. - These are just recommendations, so it is still best to go way beyond them, and also upgrade your Angel Stones for best results. - This is what you want, because certain ACTs or stages around the game will give you an advantage or handicap depending on your equipped Angel Stones. - The Property listed next to it is the recommended property, use skills that utilizes that property to deal 100% extra damages, other properties will just do 50%. - It's ok to use other properties as long that they are useful for your skill set, limit to 1 or 2 unless you are playing on lower levels. Do Potions Carry Over to the Next Stage? - Nope, so go on and consume your free Potions while playing. Which Angel Stones Should I Get? - Depends on your character, but at least get 2 AoE skills for clearing mobs. - You can also stick to your Carrion Chomper summon, useful until Lvl 50+ and easy to upgrade. - Passive skills will also depend on the character you are using, check the "Skill Discussion" under the Angel Stone tab to check what other players think. When is the Best Time to Use Summons? - At early stages, it's ok to summon them any time, but for longer stages at higher levels, summon them from the start, then summon them again before the Boss Battle. What Are Those Yellow Circles? - Those are AoE skill ranges, move out before monsters or bosses unleash their damaging skills. 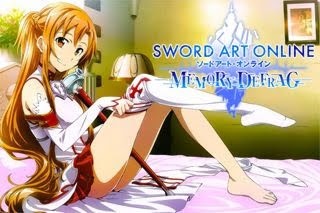 - Aside from those, also watch out for monster AoE skills like Poison Fogs, avoid them. When is the Best Time to Use Revive? - Use to finish up dying bosses, especially when a Legendary Item is in your Loot Chest. If you will abandon the battle, you'll lose all items from that stage. - Battle Zone also, if your team just defeated the Boss, then your opponents came and killed you while your HP is low, you can use your free Revive to re-enter the stage and "Return" to claim all items. - You can Revive for free once a day (resets at server time). How Will I Know If I Did Get a Legendary Item? - The Loot Chest will also change depending on the highest grade item inside it, from White > Green > Blue > Legendary. - Click on the Loot Chest to check the items you got so far. Unlocks after clearing the last stage of each ACT on Story Mode. Create a Party of 3 with other players and complete the stage to get new equipment. - A nice place to farm all equipment that you need. Ex: To replace your White, Green or Blue equipment, or to farm Blue or Orange equipment for the next Lvls. - The chances for getting Legendary Items is also quite good. - Unlike the normal stages, here you can buy Buffs to strengthen your character. - For the lower stages, "Run and Gun" style will do, but at higher levels, team strategy is important to complete party dungeons. - Shadow Mages are experts for taking out monster mobs, use your AoE skills to clear them fast. Not so sturdy like Berserkers, so avoid attacks and deal as much damage as you can. - Gun Slingers are Boss killers, they are very deadly in 1 on 1 battles due to their high single attack combo skills and low cool-downs. Not so sturdy but when played correctly, their mobility will save them. - Berserkers on the other hand will get a 15% attack reduction when playing Party Dungeons, so it's best to focus more on tanking, and dish some cheap shots if you get the chance. - To tank effectively, provoke monsters or bosses to attack you by using skills with "Provoke effect", then just run around to avoid some damages. While the Boss is busy chasing you, your teammates will get a chance to deal damages without getting hurt. - Carry a non-target active skill that can teleport or move your character to a safe distance, use this to dodge enemy skills, especially bosses with very wide skill range.